Two men will face the ACT Magistrates Court today following their arrest earlier this morning (Wednesday, February 18) by ACT Policing. About 1.30am, ACT Policing received the report of two suspicious males at a unit complex on Thynne Street in Bruce. 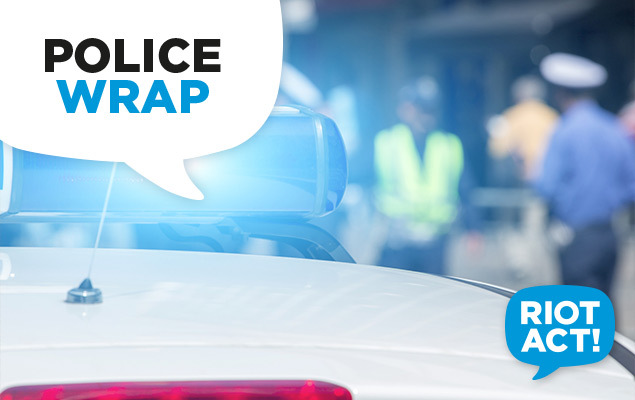 Members from Belconnen Police Station responded and acting on information from a member of the public, observed two men within the units secure carpark matching the descriptions provided. The two men, a 27-year-old Amaroo man and 34-year-old Conder man, ran from the area and were later arrested following a short foot pursuit. Both are charged with aggravated burglary and going equipped for theft and the 27-year-old has an additional two charges of possess knife and possess a prohibited weapon.